Greenbridge Investment Partners has obtained a $73 mil, non-recourse bridge loan for the conversion, renovation and stabilization of the Seattle Design Center. The financing was arranged by George Smith Partners Principal Steve Bram. Greenbridge acquired the two adjacent design center buildings for $24.9 mil at 43% overall occupancy, over the last two years. 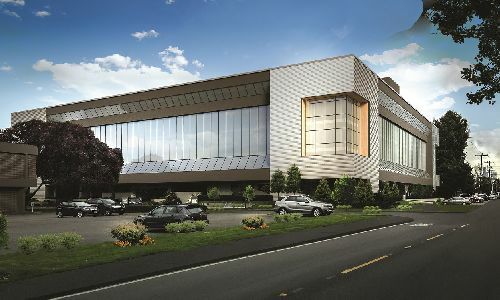 The firm renovated the Seattle Design Center building and consolidated the showroom/design tenants into that facility. Now, Greenbridge is ready to begin a major repositioning of the G2 building from showroom space into creative office. The new loan closed at 59.7% loan-to-stabilized value at a competitive LIBOR spread for a 24-month term with one 12-month option. $49 mil was funded at closing, and an additional $24 mil will pay for renovation, construction, tenant improvements and leasing commissions at the G2 building. Greenbridge’s G2 office building will offer a full creative environment with expansive 60k sf floorplates, exposed ceilings and concrete floors, glass walls for natural light, unobstructed views of downtown Seattle and Mt. Rainier, and full-service amenities, including an upscale fitness center and conference center.